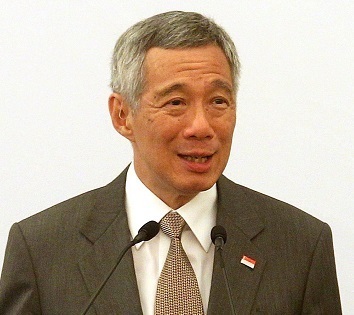 KUALA LUMPUR (Oct 23): Singapore Prime Minister Lee Hsien Loong (pictured) told the Straits Times today that the republic’s relations with Malaysia are stable, and ties with Jakarta are good. Lee told the Singapore daily that he will go to Putrajaya to meet Tun Dr Mahathir Mohamad for a leaders' retreat next month. Lee was also in Bali early this month for an annual retreat with Indonesian President Joko Widodo. Touching on specific matters with Malaysia, the Singapore PM told the daily that: "The High-Speed Rail (HSR) was an issue potentially, but we worked out a two-year deferment for the HSR project and that was a constructive resolution of what could have been a spiky dispute." "I hope that at the retreat, we will be able to look ahead, to discuss win-win opportunities in order to deepen our cooperation and friendship," Lee added about Malaysia. The Straits Times reported that the retreat will take place about 10 days after Dr Mahathir visits Singapore for the Asean Summit. The summit will be from Nov 11 to 15. As for Indonesia, Lee said: "Economic cooperation is progressing, and President Jokowi hopes to attract more Singapore investments."